In today's competitive market, beat your competition with technology: Use our enhanced local search to solve the #1 complaint among buyers today, calling on a property only to find out it's under contract, sold or no longer for sale. We can help you know first with more listings, targeted information and daily alerts! Welcome to Premium MA Home Finder! Home to the Best Info and One Click Property Search in Massachusetts! Visit to see More Homes and Better Results in every Town's dedicated MLS Search. We are your ultimate resource for Real Estate in Massachusetts. With hundreds of local clients, we have the knowledge and expertise to assist you with your real estate needs. Whether you are buying, selling, investing or simply researching your future neighborhood, we provide you with the most comprehensive tools to streamline the process and save your valuable time. Sign up for our advanced search and let the properties come to you - or contact us directly to discuss how we can help! Sign Up and Start Searching! Market Data and Tools to help YOU Win! 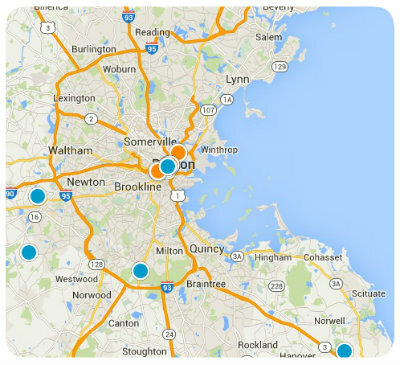 If you are looking to purchase a home, search our local Massachusetts MLS with over 30,000 listings for sale! Never again call on a home listed on a national website only to find out the information is old, the house is Sold, or you've missed out. Let the other buyers be disappointed. We're happy to provide our team bio and resume to show you how we can help you in your search. If you own a home and are looking to sell or for how to price your home in today's market, you will find information on staging, preparing your home for sale, tips on selecting an agent, proper pricing and marketing ( including techniques to add 6-10% to your bottom line ). Be sure to ask about our " Success! Stories ", this is a list of homes we have sold where others have failed, often for higher than the previous listing price. Success! Real Estate is a Massachusetts Brokerage. We are available 7 days a week and dedicated to your Success!